Rebuild credit by first rebuilding your credit history. 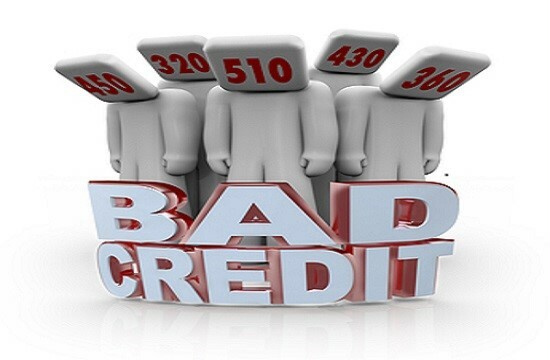 A history of bad credit must be replaced with a good credit history. Once you start to rebuild credit history your credit scores will improve. The amount of time it takes to rebuild credit depends on the amount of negative credit items in your reports and how determined you are to stick with the process. Disputing errors in each of your major credit reports from Experian, Equifax and Transunion. You may see a difference in credit scores within 60 to 90 days; but keep in mind, some stubborn credit items may take several months to improve. Order your free credit reports from Experian, Transunion and Equifax at annualcreditreport.com. Pay for credit reports and FICO scores at myfico.com (FICO Credit Scores are probably the most accurate credit scores as they are used by 90% of banks and lenders). Get a free credit report if you were denied credit, employment, housing or insurance. 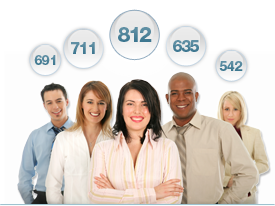 If you are on government assistance you can also request free credit reports. 1. Any recent major derogatory is going to lower your FICO scores the most. 2. Find an inaccuracy in the negative account to dispute. If there is inaccurate information on a negative account such as an incorrect date or amount, that can be disputed. The key to disputing negative information is to request the account be deleted instead of corrected. Keep in mind the credit bureaus do not have to delete inaccurate information however they are required to correct inaccurate information. But it does not hurt to ask for a deletion. 3. Focus your efforts on recent negative information. You may want to consider leaving older negative information to drop off your credit reports. Older negative information affects your credit score less than newer negative credit information. The credit scoring model gives more weight to accounts that are recently negative. Once a negative accounts reaches 48 months or older it matters very little in calculating your FICO scores. Articles on how to repair credit and disputing negative credit contain useful tips on dealing with specific negative credit items. If you need to deal with collection accounts learn how to get deletions with a pay for delete letter or learn the best way to dispute collection accounts. The pie chart displays what factors determine FICO scores. Take a look at the amount of weight given to payment history, it is the largest part of your FICO score, accounting for 35%. A credit history of late payments is going to kill your FICO scores. There is no getting around late payments except to start making on-time payments immediately. Your scores can recover. One late payment can reduce a good credit score by as much as 100 points! If your credit score is already low, late payments may only reduce scores by 30 points. Nevertheless avoid late payments no matter what your FICO scores. Although recent late payments will hurt credit scores more than older late payments, it’s still a good idea to rid your credit reports of them because they can remain up to 7 years. Avoid information that typically is not listed on credit reports ending up becoming part of your credit history. 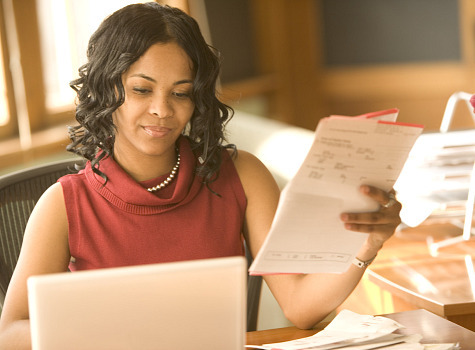 A ticket, library fine or even utility bill can find its way to a credit report if left unpaid. Avoid unpaid bills, even if they are small, being sent to a collection agency. Once a bill ends up with a debt collector it can remain on your credit report for 7 years, whether it is paid or unpaid. Revolving credit is basically any credit card. That would include major credit cards like Visa, Mastercard, American Express and Discover and also retail credit cards like Macys, Neiman Marcus, JC Penney or Old Navy. Even if your local furniture store extends a credit account, that would also be considered revolving credit. The word “revolving” means you can carry a balance from one month to the next, or “revolve” the debt. Any outstanding credit card debt should be reduced. You will get the best results in rebuilding credit if you maintain current account balances to no more than 10% of your available credit limit. For example: A credit card with an available credit limit of $2,000 should have a balance of no more than $200 which is 10% of $2,000. The credit limit of the account does not matter; this rule should be practiced even if your account limit is $200. Try it and watch your credit score increase. Maintaining low balances translates into higher scores and shows how well you manage credit card debt. Consumers who manage credit well and have little debt are considered a good risk and banks will come looking for your business. If 10% is too difficult to maintain aim for 30% of your available credit limit. The goal: To Rebuild Credit History. Prepaid cards in no way help rebuild, build or re-establish a credit history. Prepaid cards are not credit cards and do not report to the credit bureaus. More importantly you may be dealing with lots of fees. Some prepaid cards charge for transactions that would usually be free at traditional banks. There are could be fees to withdraw cash from an ATM, even if the ATM is in the card’s network. There might even be a fee to set up online bill payments or a fee to reload the card. Get New Credit: Where can I get a credit card? Banks and credit unions offer credit cards. They usually offer credit cards to people with a good credit history. But replacing bad credit with good credit is mandatory! If you have no open accounts and no credit activity, you are not demonstrating that you can manage credit and your credit history. Get a credit card specifically designed for consumers who need to rebuild credit. Exercise caution when seeking new credit. You want to avoid too many credit applications as each inquiry will decrease your credit score by a few points and banks will view you as a risk because credit applications indicate you may be taking on too much debt. Maybe your credit history is not in need of rebuilding and you just want to quickly improve your credit scores. First – Keep any old credit accounts open. You may not be using that old account but it is helping your credit score and closing it may lower it. Second – If you have recent late payments, ask your creditor to remove them. I am not talking about disputing with the credit bureaus. 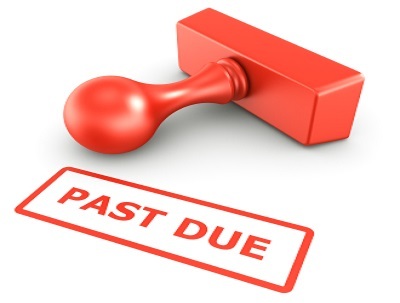 Go directly to a creditor and simply ask for a removal of a recent late payment. Your creditor may want to extend goodwill to you if a late payment was a mistake and not consistent with your regular payment habits. Third – Reduce your credit card balances. You will experience an increase in credit scores as soon as your creditors report the reduced balances. As mentioned above, the best scenario would be to reduce your revolving balances to 10 percent or less of your available credit limits for the highest credit scores. Get more tips on how to raise credit scores quickly. Okay, now that you have new credit what should you do with it? The answer is simple. Practice good credit habits to rebuild credit. Your goal in rebuilding credit should be to have credit score of 720 or above. Some of you may be 50 points away from a 720 credit score and others may be 150 points away. It does not matter where you start, it’s where you end up that counts. Some consumers cease using credit cards after having bad credit or a bad financial experience, but that will not help you rebuild credit. Creditors want to see how well you manage credit and you can only accomplish this by using credit. Charge only what you can afford to pay and make sure you pay on time each month and your credit history will recover. ” If you are not comfortable with several open revolving accounts, you should keep at least one credit card open and use it to make small purchases, paying in full each month. Otherwise, you may not be able to qualify for new credit like a mortgage or auto loan when you want them. I just wanted to finish by saying that while I do not personally repair credit, I do my best to respond to all emails and questions. 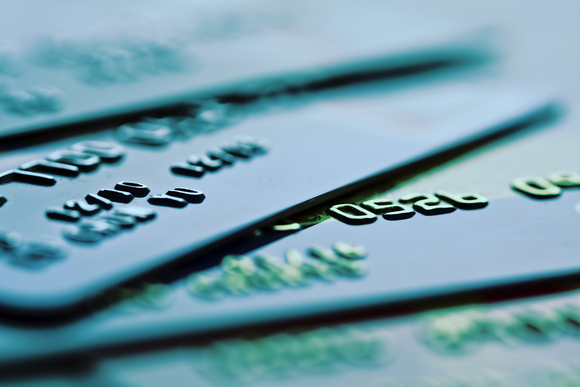 Rebuilding credit history takes a commitment to understanding how the game of credit works. Once you learn how to play the game, you will win every time. A credit repair company can easily help rebuild your credit but when you embark on your own rebuilding journey it is not only rewarding but helps in preventing future credit mishaps. P.S. If you have found this page helpful, please click on the ‘LIKE’ button at the top of this page. Thanks! When negative accounts are paid in full there is little you can do to remove them from your credit reports unless you negotiated a payment in exchange for deletion prior to paying off the account. At this point you can try a goodwill letter asking the creditor to remove the paid account from your credit reports. You can see a sample goodwill letter here. There also may be something inaccurate with the negative item that can be disputed which may result in a correction of deletion of the listing. The good news is the older negative accounts get, the less affect they have on credit scores. Also, having several current accounts reporting, with an on-time payment history will help counter the negative paid accounts. Prior to paying a negative account with a collection agency you can try to negotiate a pay for delete. If you are dealing with original creditors then you can try a goodwill letter asking them to remove paid negative accounts. The other strategy you can try is to find an inaccuracy within the negative listing and dispute it with the credit bureaus. The good news is that the older negative accounts get, the less the count towards your credit scores. Just make sure you have plenty of current positive credit reporting. Your experience is not uncommon when beginning the rebuilding process after bankruptcy. You might want to try for a secured credit card that does not require a credit check. You can find one here. It takes as little as $200 to secure and it will give you a start at rebuilding credit. Once you establish a payment history for 4 or 5 months you should be able to qualify for other credit cards. This is some extremely great information on maintaining and increasing ones credit score. However, I did see any mention of using the codes of the federal trade commission to dispute inaccurate information. The credit agencies with respond in a more positive way when you’re disputing something if you’re referencing the codes. Mention of specific codes of the Fair Credit Reporting Act, Fair Debt Collection Practices Act and the Fair Credit Billing Act are contained in the How to Repair Credit and How to Dispute Specific Negative Credit Items articles. This article is simply a general overview of rebuilding credit because not every consumer will need to utilize the dispute process to rebuild credit.